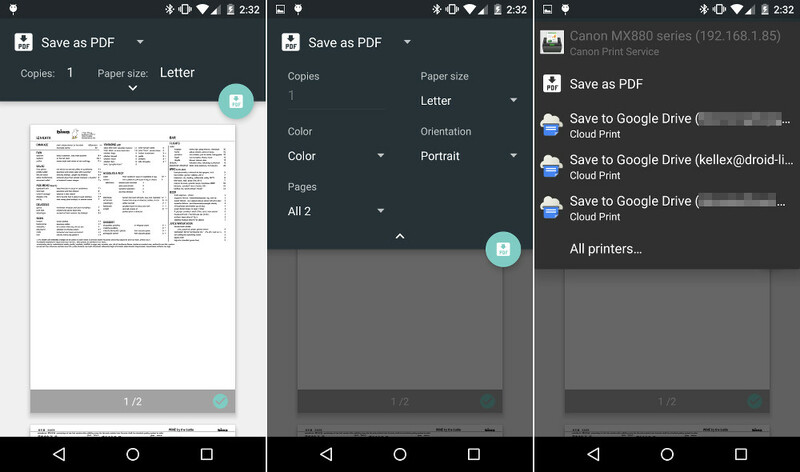 In Android 5.0 “Lollipop,” Google included a brand new printing UI that now shows you a print preview before you either print a document to your local printer, save as a PDF to your device, or save to the cloud. You can manually select and de-select individual pages as well. These may seem like a small changes, especially to those who rarely print anything and hold an actual piece of paper these days, but the UI is incredibly well done and is yet another example of how far smartphone operating systems have come. With the previous printing UI, the only screen you would see was a pop-up that asked for you to choose from a handful of pulldown menus and settings. It worked. It got the job done. But again, this new UI with full print previews, a Material Design layout, the option to select or de-select specific pages, and more, is pretty nice. These little things are adding up to Lollipop being our favorite Android release yet. Here are the rest of the Android 5.0 feature highlights we have covered so far.